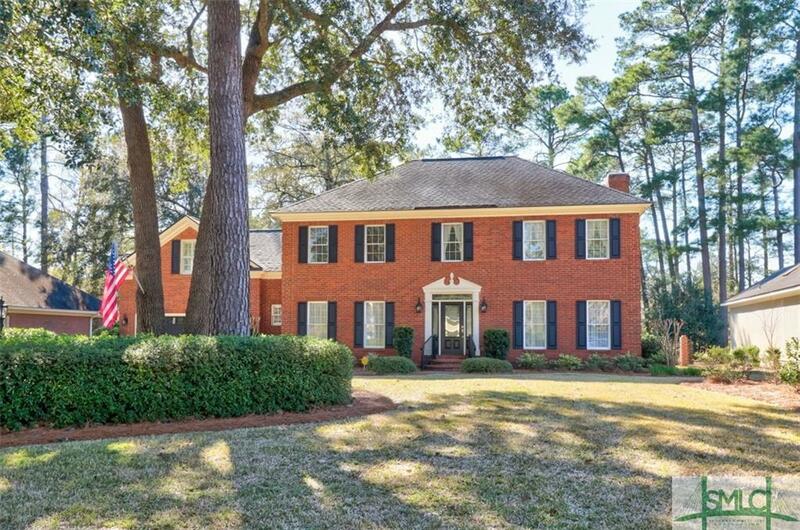 Stately brick home located in Savannah's most popular amenity-filled neighborhood. This meticulously maintained 3400 sf home features 4 bedrooms, 2.5 baths, formal dining room, formal living room / study and separate bonus room, granite counter tops, custom cabinetry and new hardwood floors. The kitchen, sun room and great room provide wonderful open concept living and overlook the Southbridge Golf course. Beautifully manicured lawn and tons of outdoor entertaining space. This home has it all!